Stump shrinker, BUY pirogoff, 20-30 mmHg, Amputee Stump Shrinker, Stump Shrinker Socks, 3511HDI, 3511HDII, 3511HDIII, 3511HDIV, 3511HDV. Size I - SHIPS FREE! Size II - SHIPS FREE! Size III - SHIPS FREE! Size IV - SHIPS FREE! Size V - SHIPS FREE! Juzo Dynamic Pirogoff Shrinkers, manufactured by Juzo, are amputee stump shrinkers that are designed for people with pirogoff (symes) amputations. 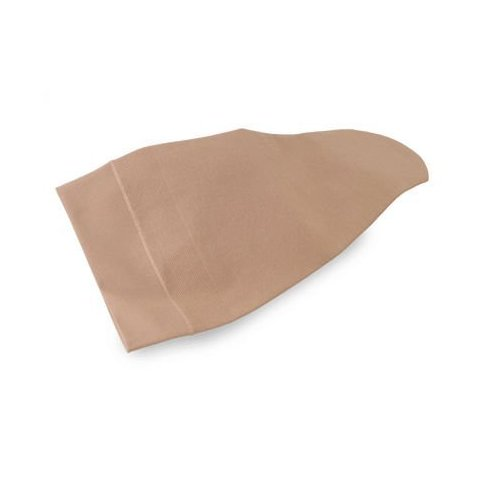 These Stump Shrinkers are designed with soft, smooth fabric and lay flat seams. The lay flat seems eliminate irritation that occurs due to compression at the seams, making these Stump Shrinker Socks perfect for those with sensitive skin. Amputee stump shrinkers are ideal for maintaining the shape of the stump through mild 20-30 mmHg compression. Juzo Varin (dynamic) compression stockings, such as, the stump shrinker are designed for comfortable wear every day. Maintains the Shape of the Stump. Juzo Varin (Dynamic) Pirogoff Shrinker Product Numbers: 3511HDI, 3511HDII, 3511HDIII, 3511HDIV, 3511HDV.